Daltonic Films have been been behind the scenes to offer an in-depth look into life as a professional referee with PRO. 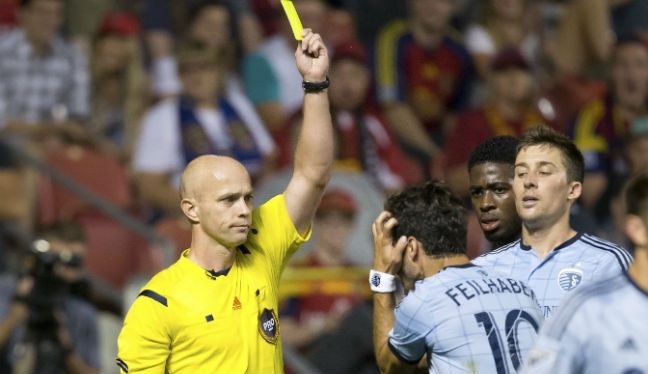 The cameras were at a training camp in Park City, Utah, before following Allen Chapman and his crew at Rio Tinto Stadium for Real Salt Lake versus Sporting Kansas City in MLS. Referee Alan Kelly was also the focus on gameday, when he took charge of Seattle Sounders versus Portland Timbers at CenturyLink Field. The short film features insight from PRO backroom staff, including General Manager Peter Walton, Sports Scientist Matt Hawkey, Referee Manager Michael Kennedy and Training & Development Manager Paul Rejer, with a number of leading coaches and players also sharing their views on officiating.